It is located 78 km south from Frankfurt. Heidelberg is famous for it Castle and the University. 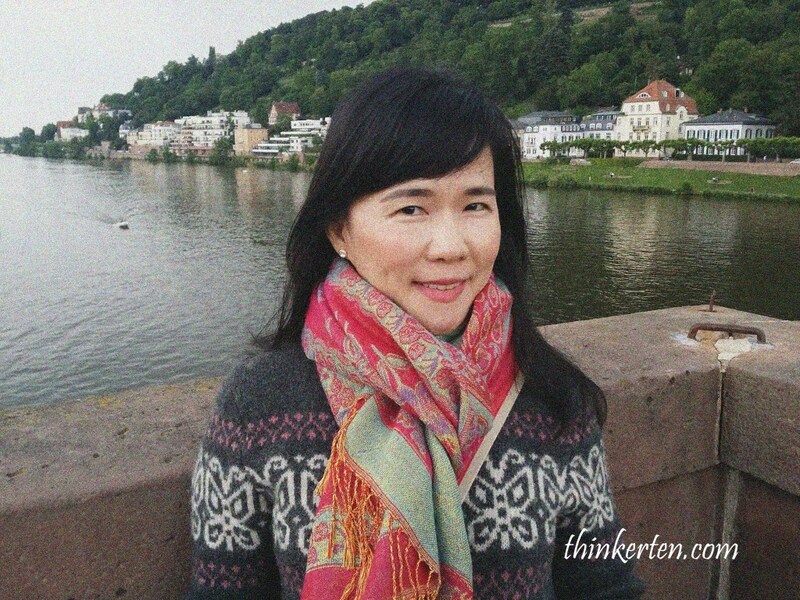 In fact, the most famous reputable and Germany’s oldest University is Heidelberg University. So you expect to see many students here. In fact, one in five Heidelberg residents is a student. 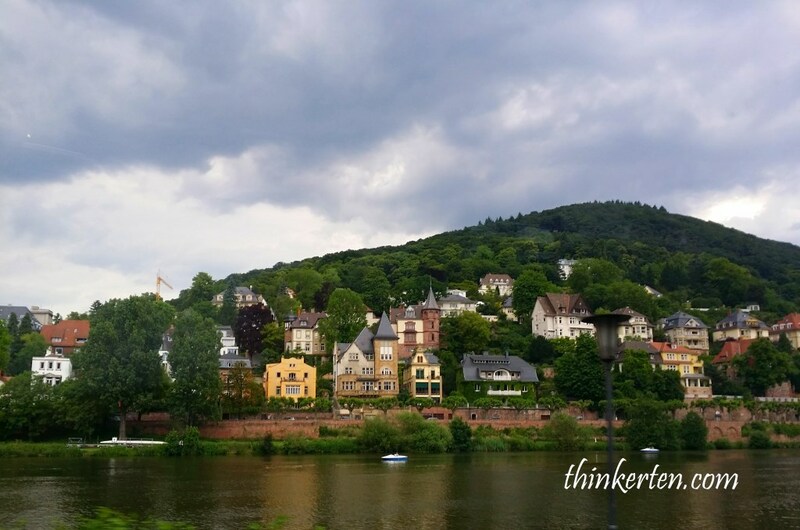 Heidelberg is considered one of the most scenic and beautiful city in Germany. Entering by the Bridge gate, behind is the old town. This is a pedestrian bridge with fantastic view. In weekends or peak season, the bridge can be very crowded. 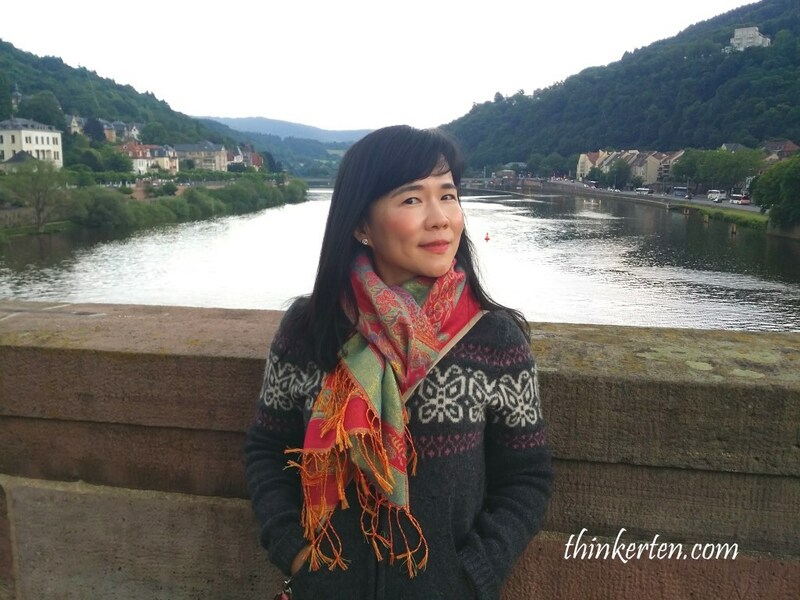 Karl Theodor Bridge is also known as Old Bridge, is a stone bridge in Heidelberg, crossing the Neckar River. It connects the Old town to the other part of the city on the opposite bank. Very picturesque at all angles, so don’t miss the photo opportunities. A monument to Prince Elector Carl Theodor, who had the bridge built. (Refer to above picture). The river get a little windy and cold so be prepared. It was summer but still quite cold for me. 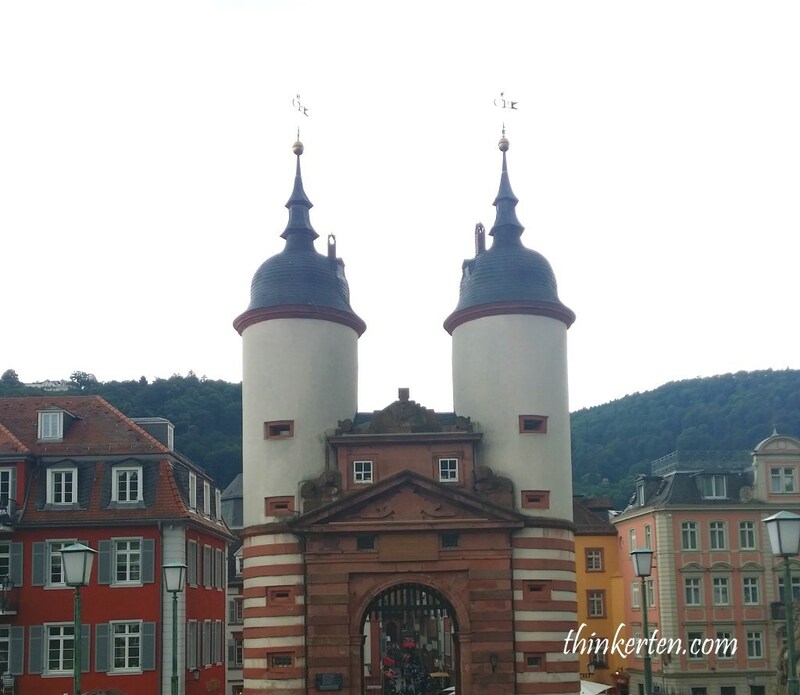 The most iconic landmark in Heidelberg is the Castle located uphill. The old castle was built in 1200s and designed to be a romantic, Disney-ified experience for day-dreaming tourists. You can see the whole castle from the Old Bridge! The pathway was covered with cobblestones, interesting to stroll around the old town and discover the hidden gem. A lot of gift shops and nice restaurants. We ended having Chinese in the old town, the restaurant owners are from Malaysia and been here for more than few decades. Do you know Heidelberg escaped bombing in the Second World War? The city was not destroyed in World War II and therefore still has original buildings from the later Middle Ages and early Renaissance. After our meal, we continue to stroll around and explore the old town, is big and be careful not to get lost.